You’re called Fidge and you’re nearly eleven. You’ve been hurled into a strange world. You have three companions: two are unbelievably weird and the third is your awful cousin Graham. You have to solve a series of nearly impossible clues. You need to deal with a cruel dictator and three thousand Wimbley Woos (yes, you read that sentence correctly). And the whole situation - the whole, entire thing - is your fault. Wed Wabbit is an adventure story about friendship, danger and the terror of never being able to get back home again. And it’s funny. It’s seriously funny. Fidge’s little sister Minnie carries her stuffed toy, Wed Wabbit, everywhere. She’s also obsessed with a book about strange, dustbin-shaped characters that speak in rhyme called Wimbley Woos, which she makes Fidge read repetitively. But when Minnie ends up in hospital without her beloved toys, Fidge and her neurotic cousin, Graham, magically fall (like Alice down the rabbit hole) into the land of the Wimbley Woos. There, they must avoid the warfaring blue Wimbleys, find the wise purples, and decipher the sing-song rhymes of all the Wimbleys in order to escape with Wed Wabbit, who is needed by Minnie back in the real world. This proves difficult, because Wed Wabbit has deposed the King of Wimbley Woo and become a bad-tempered dictator. 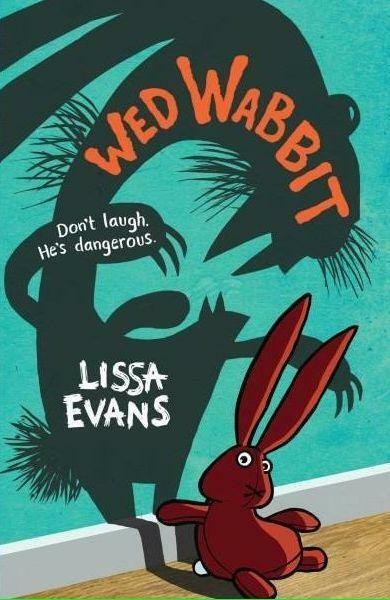 But like Minnie, Wed Wabbit has trouble pronouncing his ‘r’s, so his angry directives are more hilarious than terrifying. This is a funny, clever and adventurous trip to a magical land where everything is topsy turvy and the children must be courageous and inventive in order to escape. It will be loved by imaginative minds aged 8 to 11. Angela Crocombe is the Children’s Book Buyer at Readings Kids.